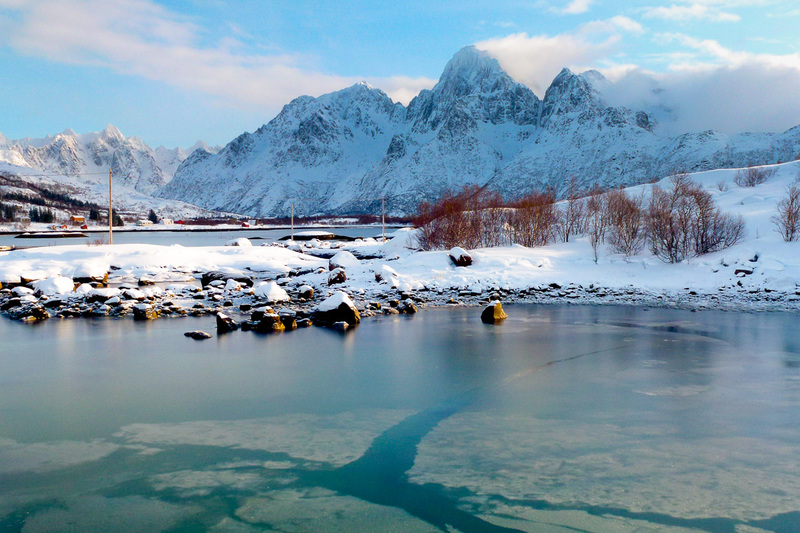 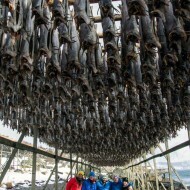 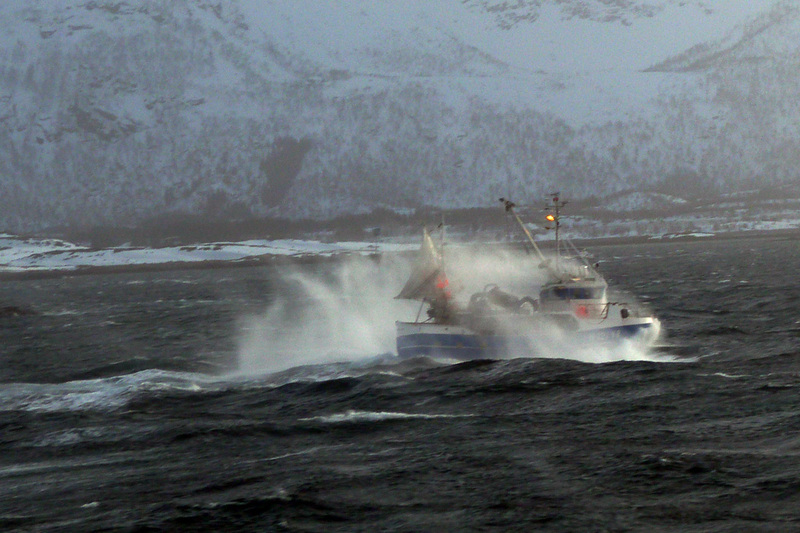 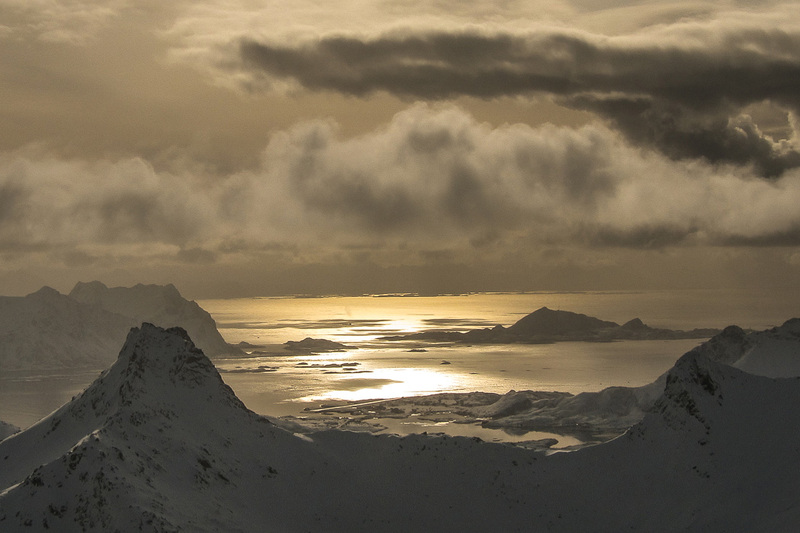 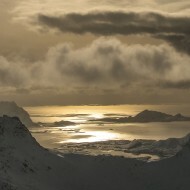 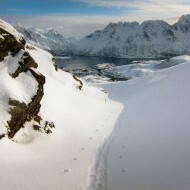 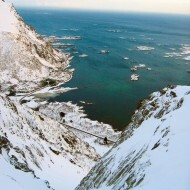 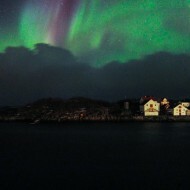 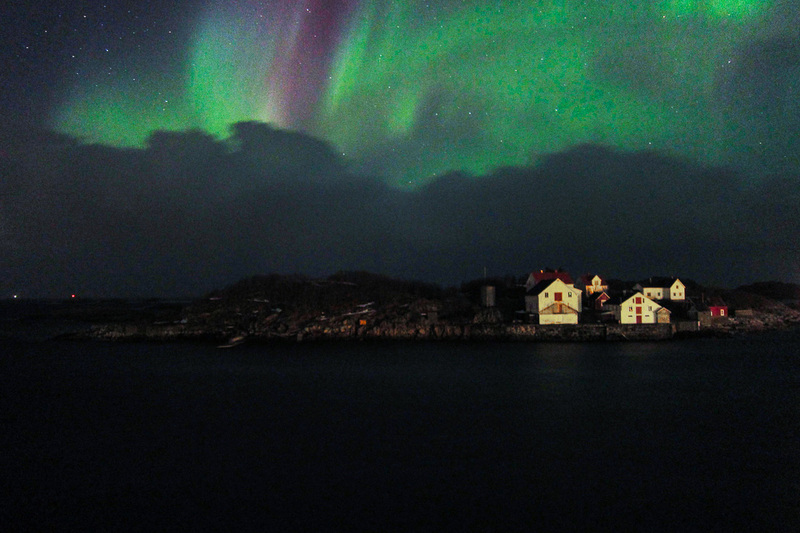 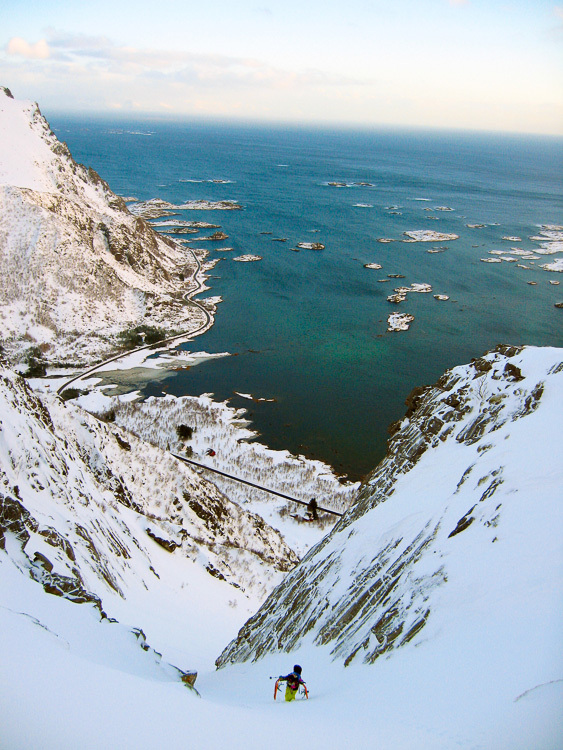 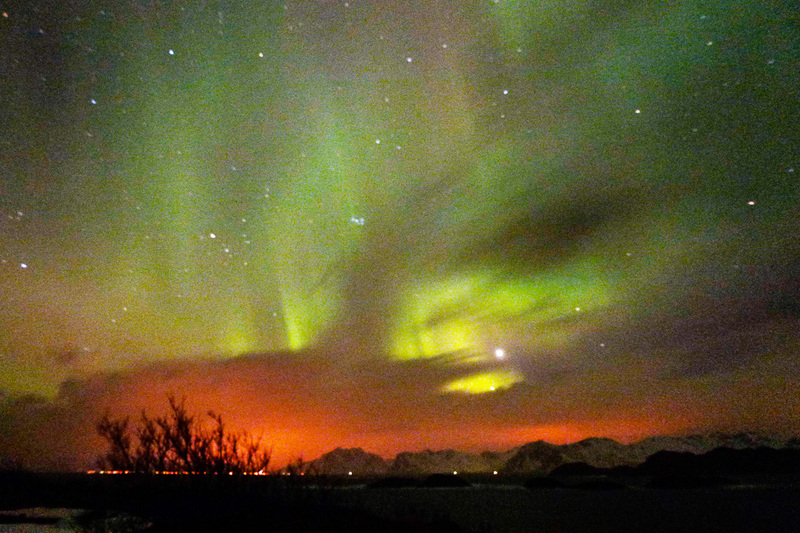 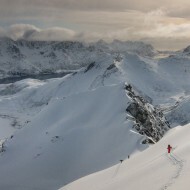 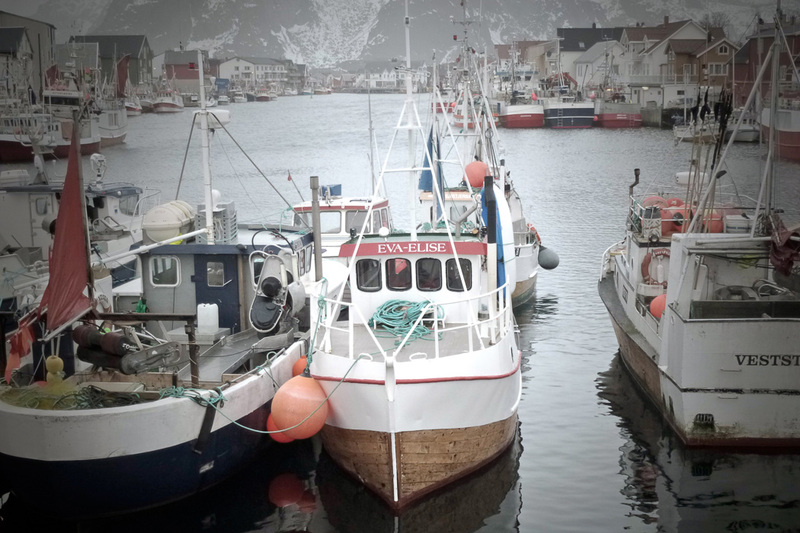 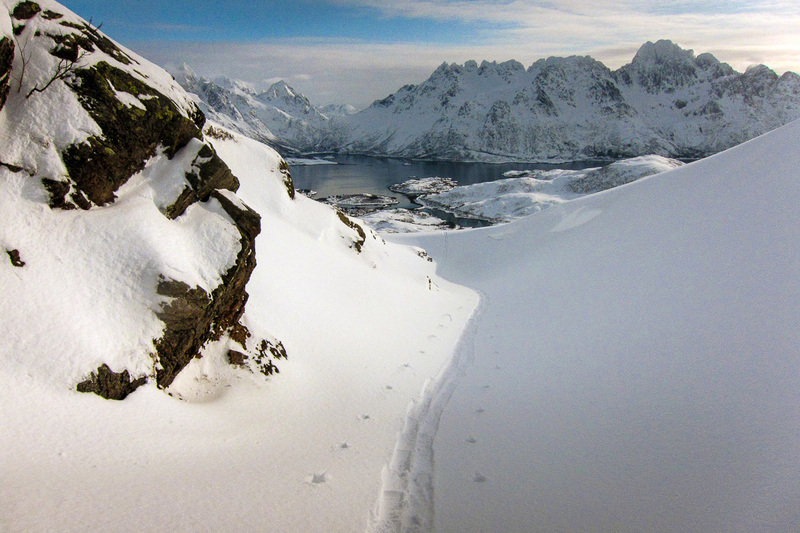 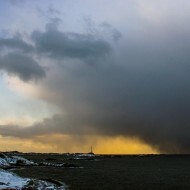 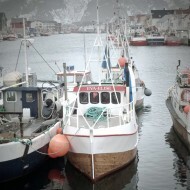 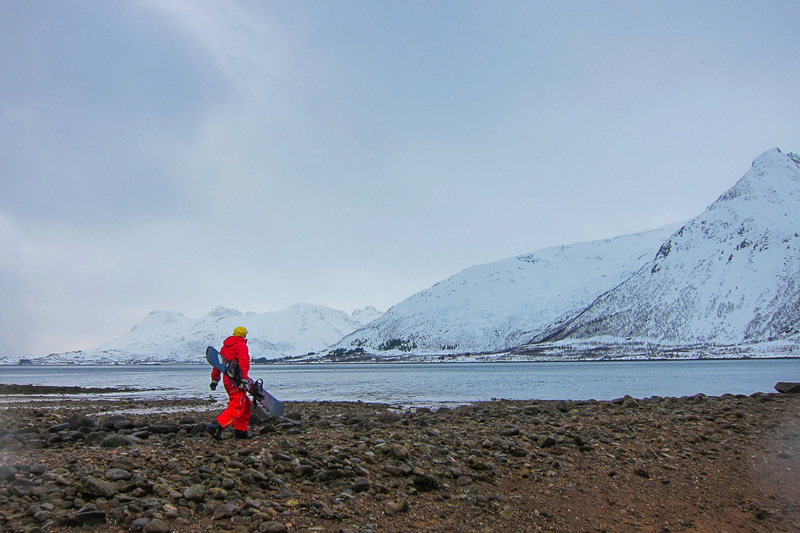 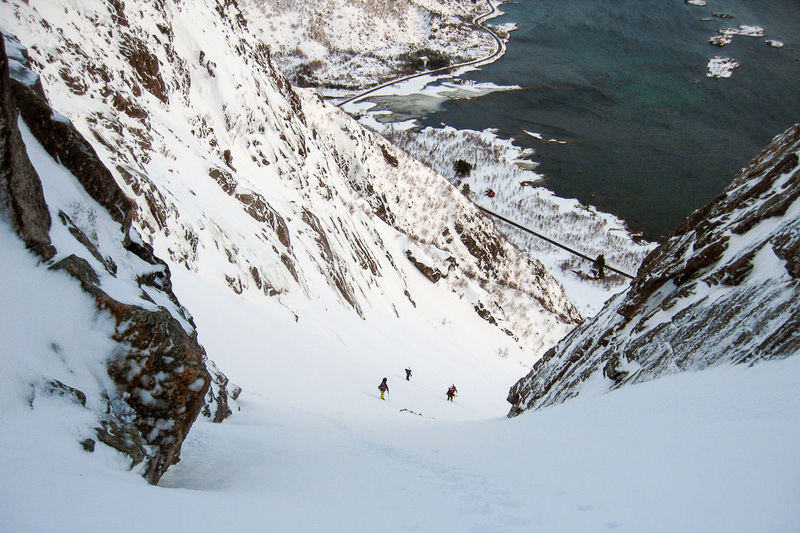 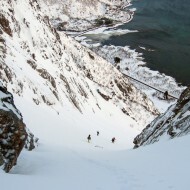 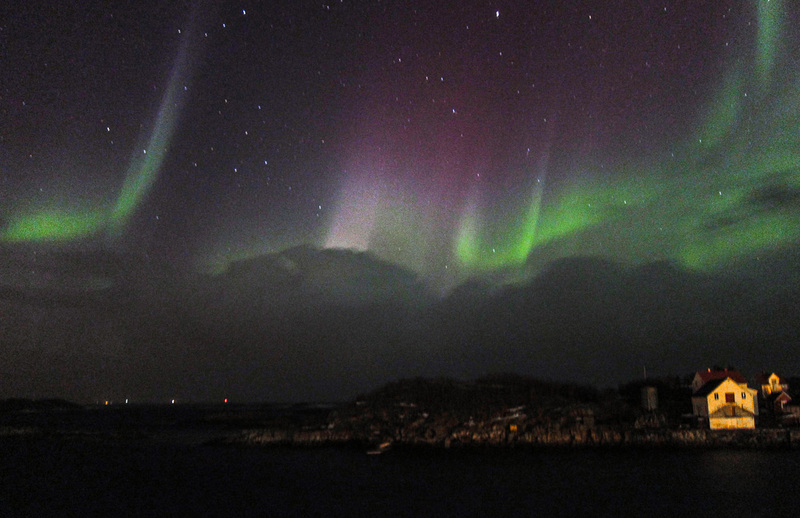 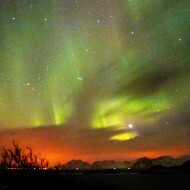 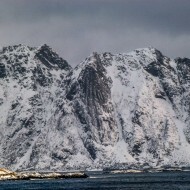 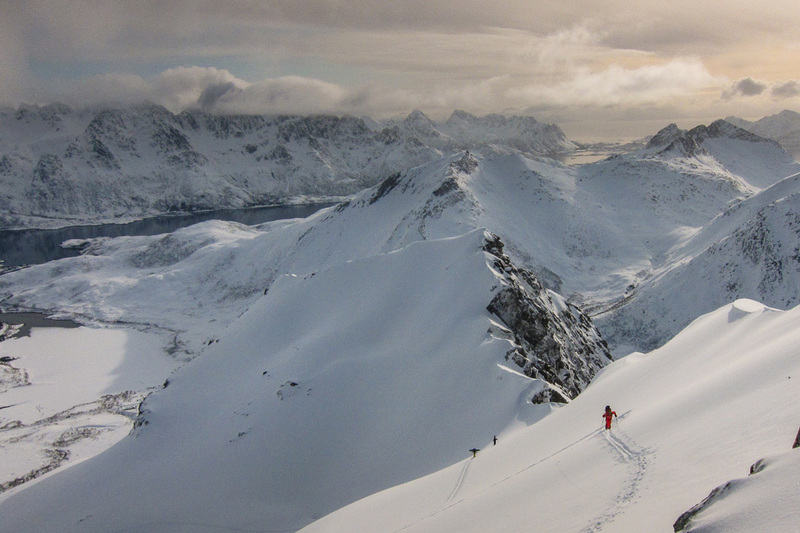 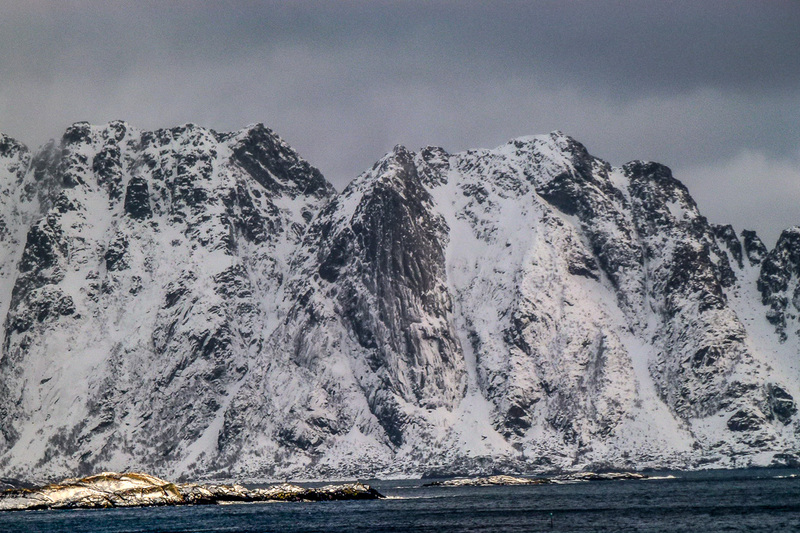 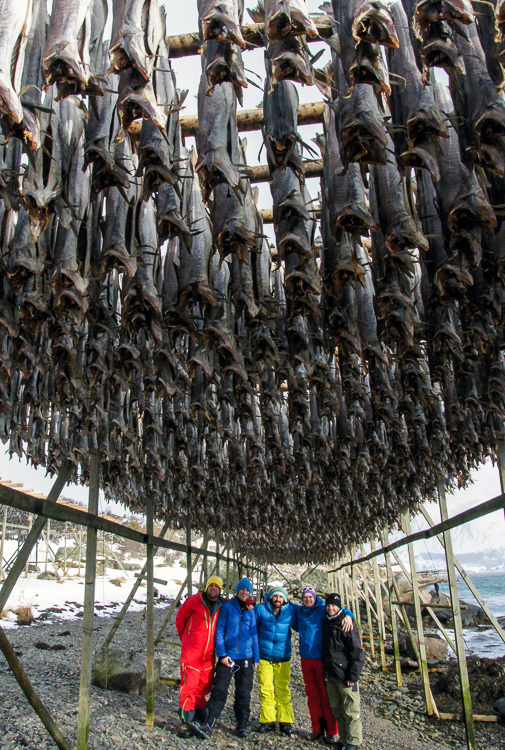 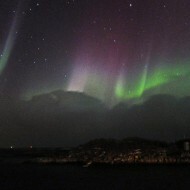 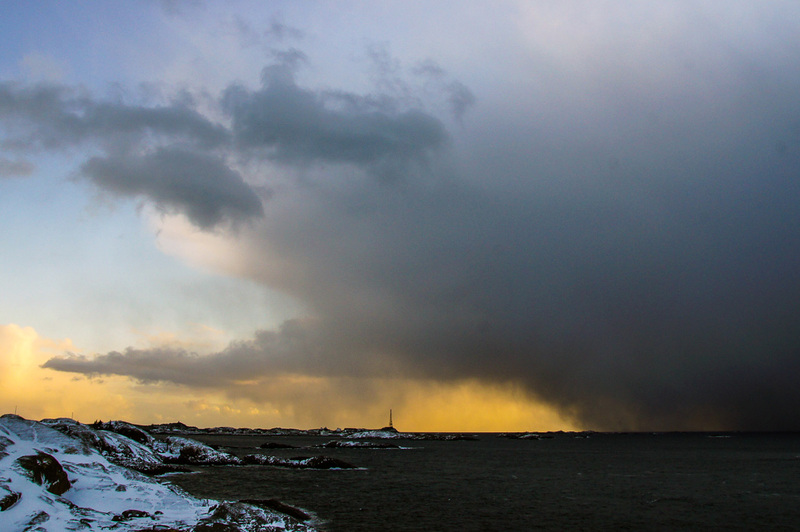 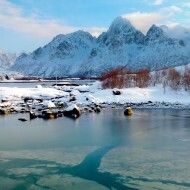 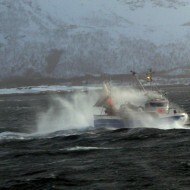 This week in early March Lofoten showed itself as the wild place it is. 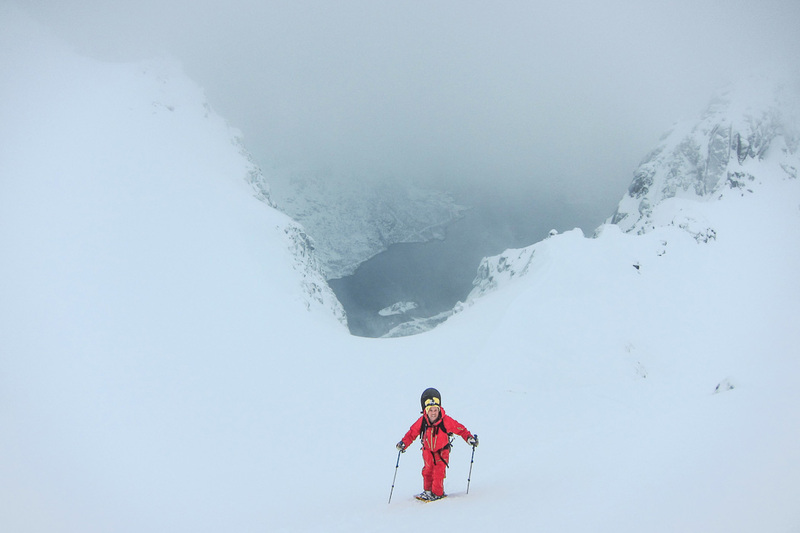 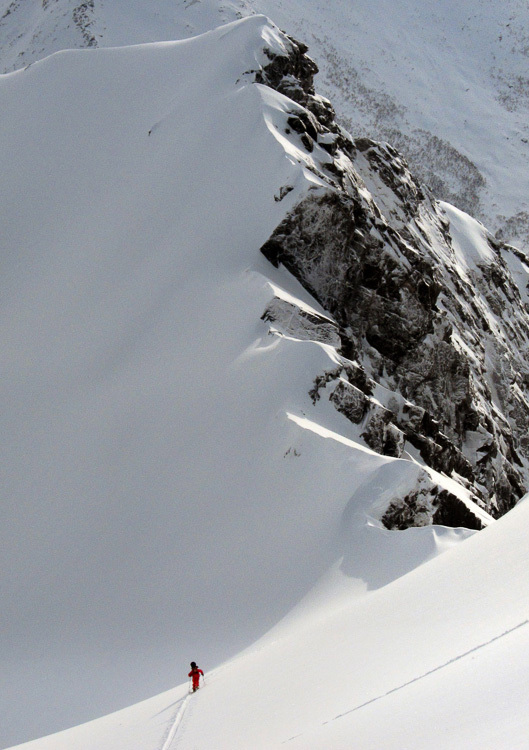 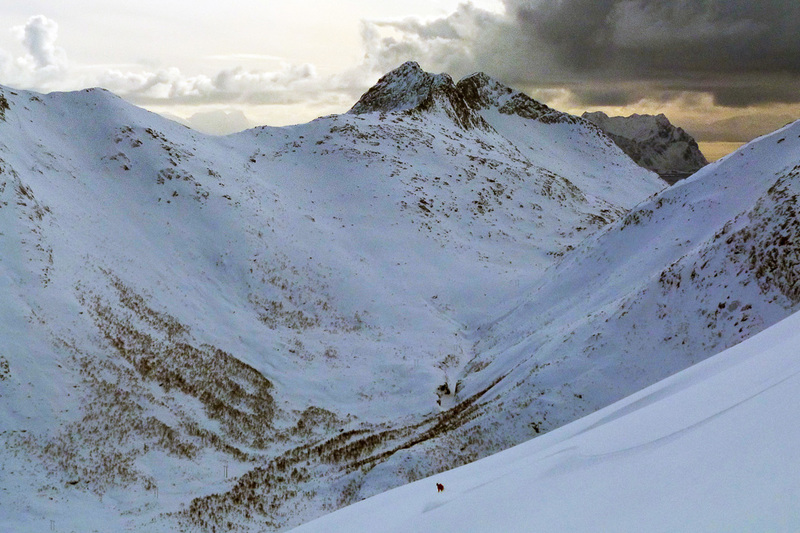 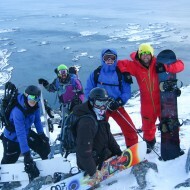 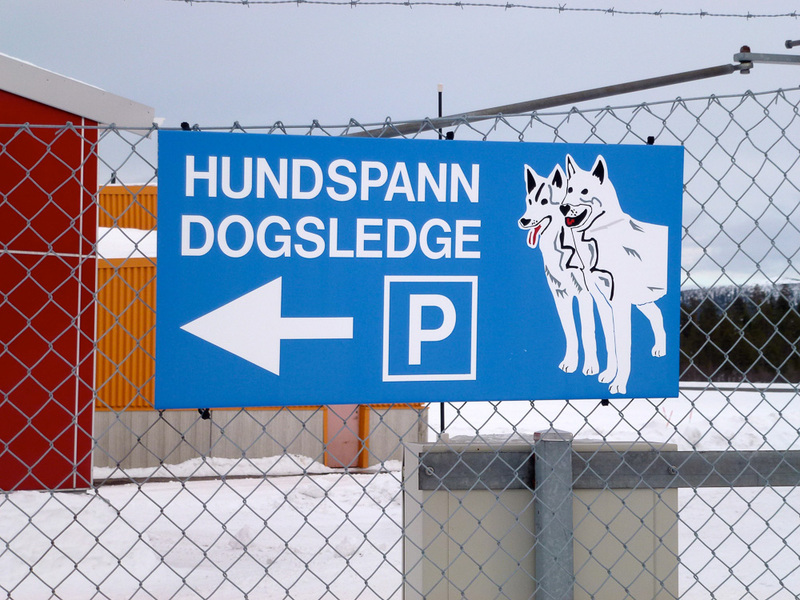 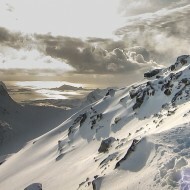 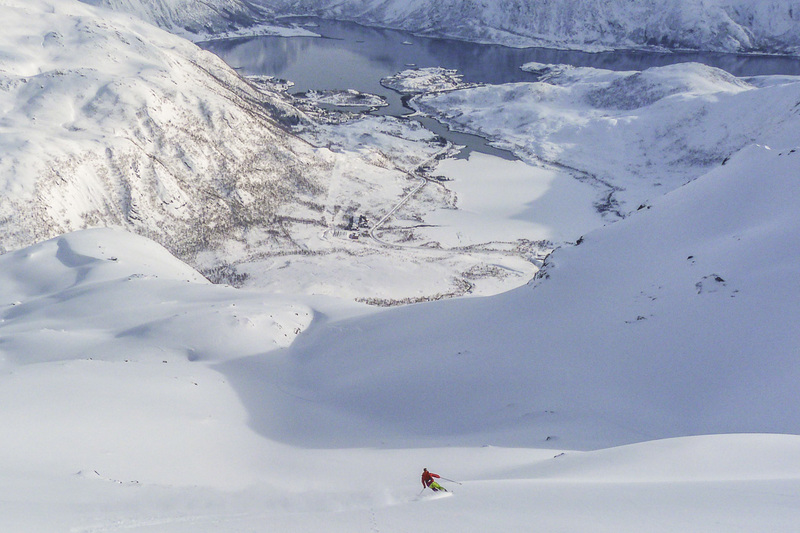 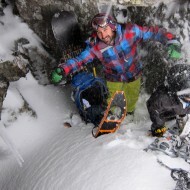 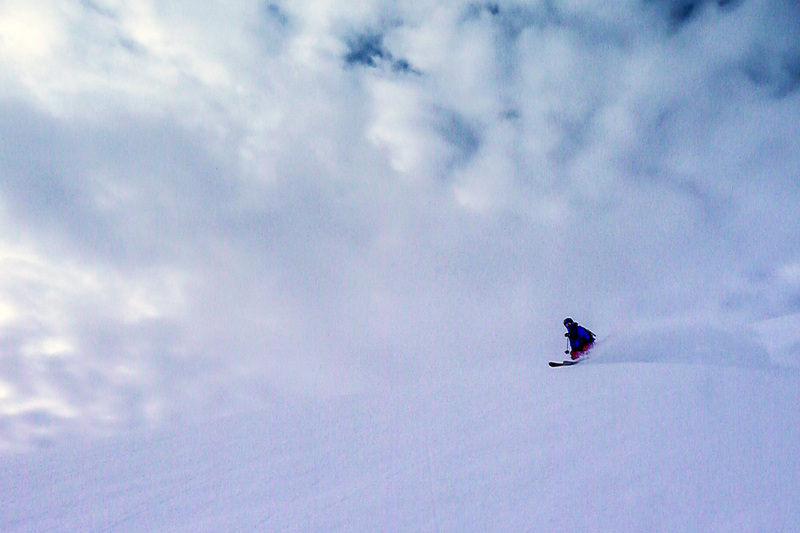 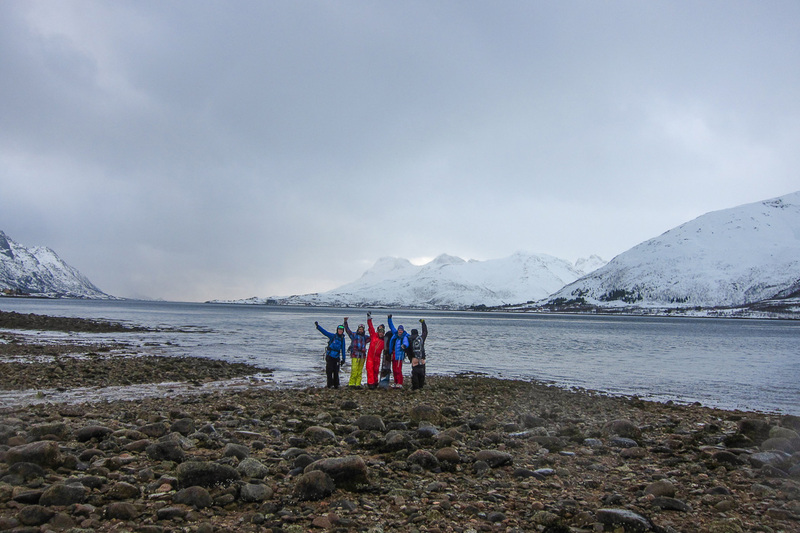 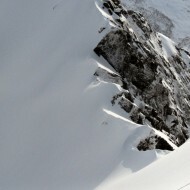 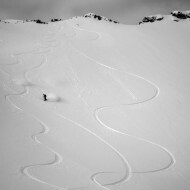 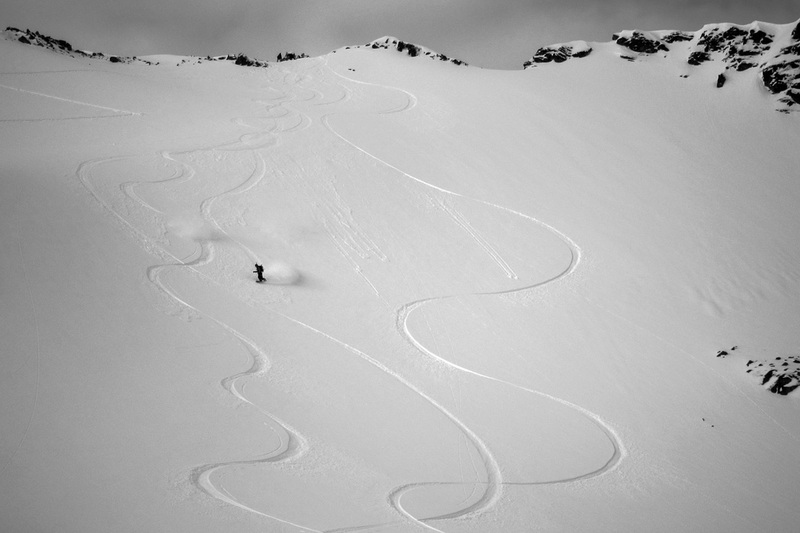 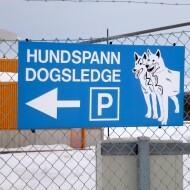 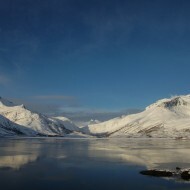 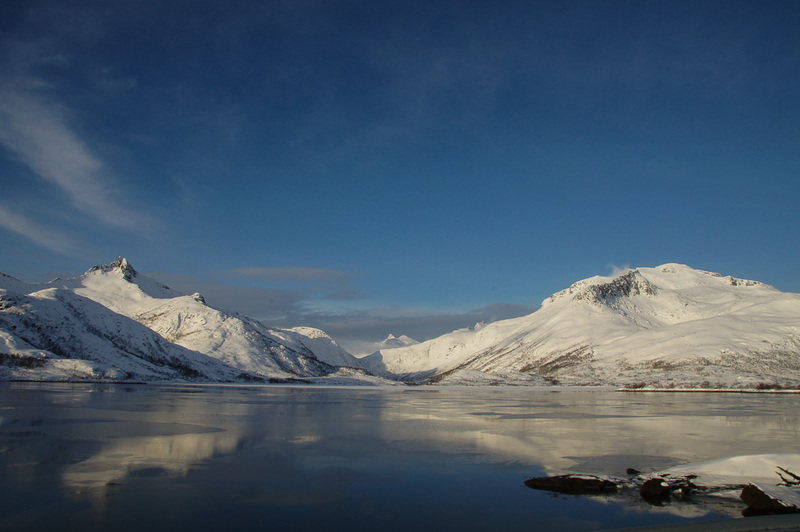 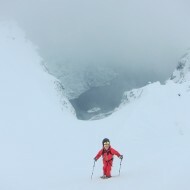 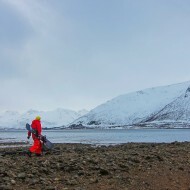 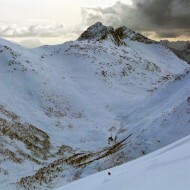 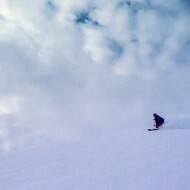 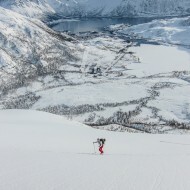 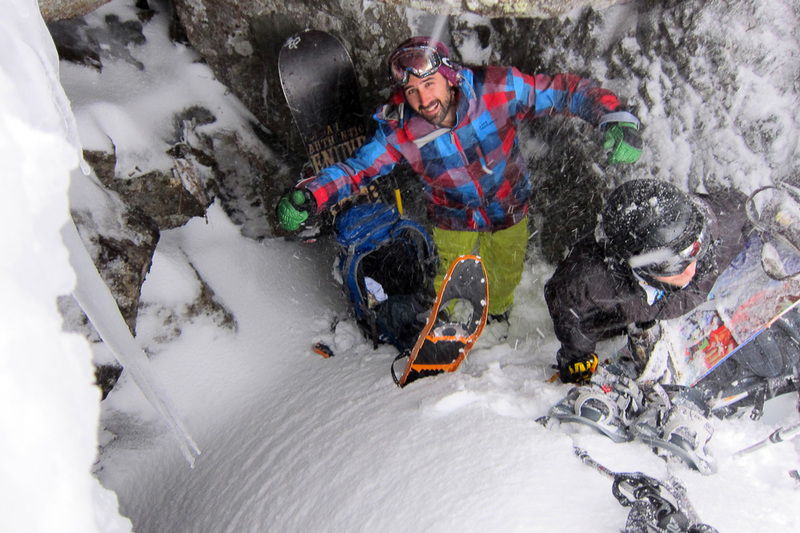 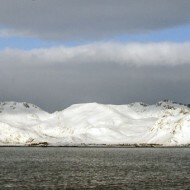 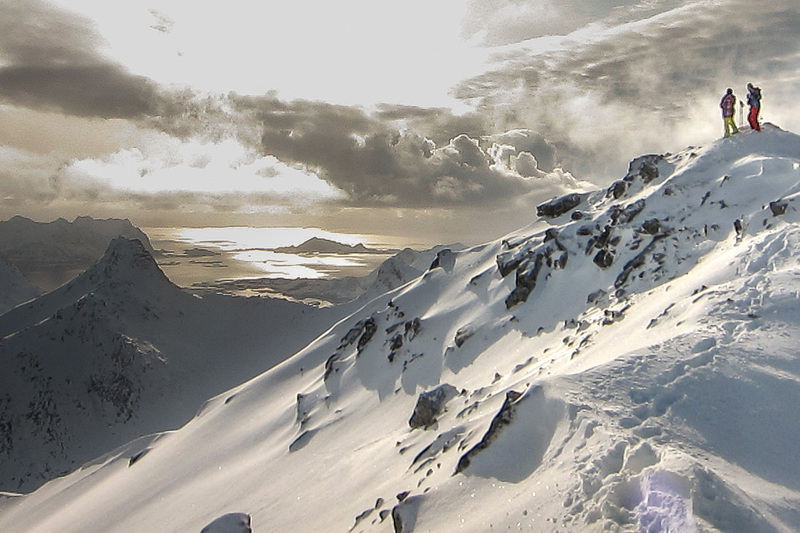 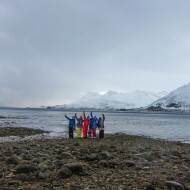 Very changeable, but often stormy weather followed by good snow conditions for powder skiing. 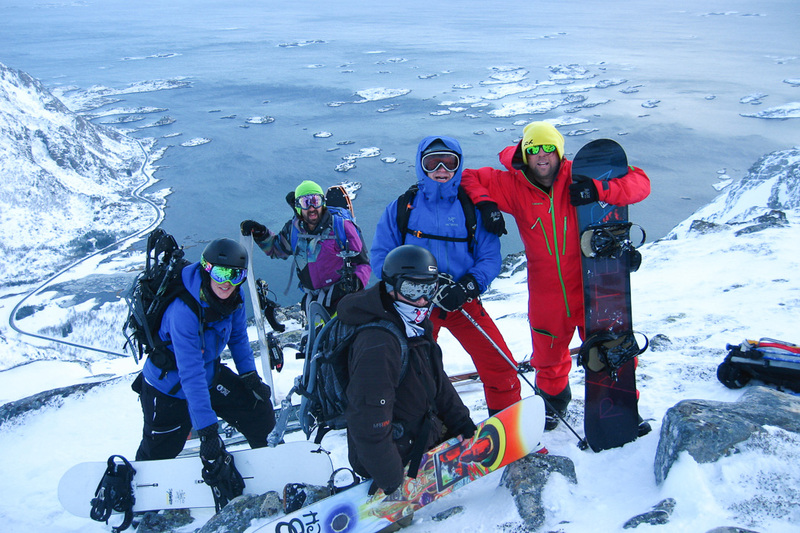 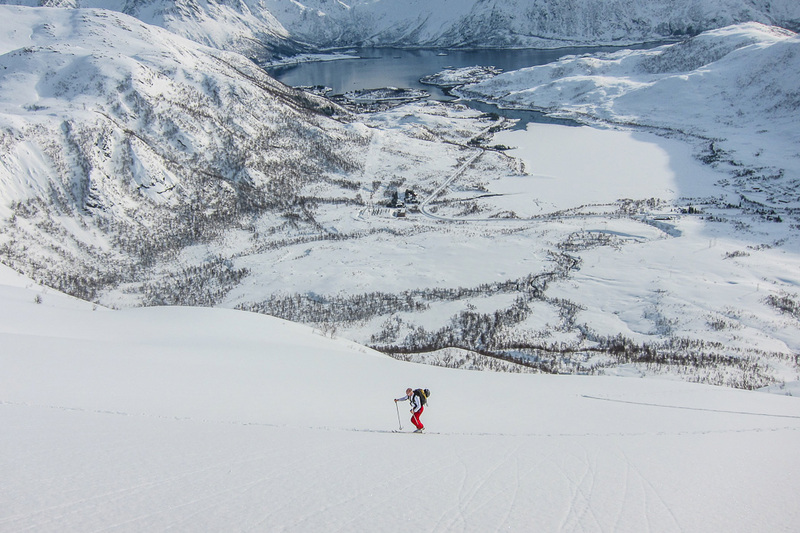 Our tough snowboarders and skiers welcomed the adventure with high enthusiasm, which made it an unforgettable trip with many great ski descents.